Loblaw is the latest grocer to commit to offering home delivery. Starting in December, the No. 1 food retailer in Canada is offering home delivery in Toronto and Vancouver with the aim of rolling the service out across the country throughout 2018. It’s an ambitious plan indeed. 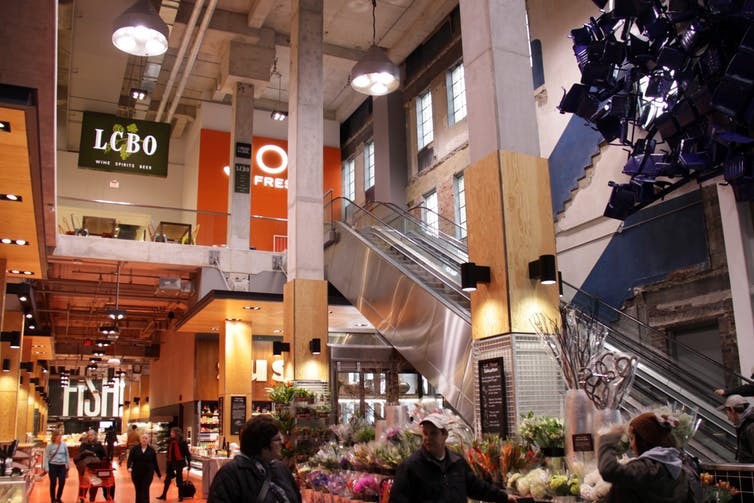 After spending millions of dollars to transform many of its stores into veritable grocery cathedrals where food is adulated — like the cavernous Maple Leaf Gardens store in Toronto — delivering President’s Choice products right to people’s doorsteps is a new frontier for Loblaw. Basically, the socioeconomic fundamentals that have supported large big-box stores are weakening rapidly. Real estate is not cheap, growing same-store sales is difficult and finding good labour to cover large spaces is challenging. In fact, as higher minimum wages in Canada are adding more pressure, grocers need to think of ways to make their equity and human capital work more efficiently. What’s more, a good portion of the Canadian population will become less mobile to some degree in the near future. By 2025, more than eight million Canadians will be 65 or older. And if you add Canada’s unpredictable — and sometimes downright horrid — weather, these indicators point to one thing: The bricks-and-mortar model is becoming less appealing to a growing number of Canadians. Our modern lifestyle is also a factor. Quite simply, time-strapped consumers are looking for convenience. Those who can’t or don’t want to cook are also looking for quick fixes, and that is exactly what the food retail industry is trying to offer. Grocers are increasingly attempting to chase down the money that isn’t showing up in their stores anymore. Based on recent financial results published by Canadian grocers, bricks-and-mortar sales in food retailing are barely moving. As a result, we are continuing to witness the slow death of the traditional grocery store. For one thing, an increasing portion of our budget is dedicated to eating outside the home. At almost 30 per cent of all of money spent on food, Canadians are on track to breaking a new record this year. They’re simply not cooking or eating at home as much anymore. Secondly, many of us are online, shopping for anything and everything. And yes, food is now part of that portfolio. About five years ago, barely one per cent of our food purchases were made online. Today, some unofficial estimates suggest that number is now close to four per cent (an approximation, based on trade reports). We are quickly catching up to the Americans, who are at seven per cent. And given Walmart’s recent results, online grocery shopping is expanding. Walmart’s online sales in the U.S. grew by almost 50 per cent last quarter, much of which was food sales. Canada is seeing similar trends. Even though grocers’ balance sheets in Canada are in fairly good shape, Amazon — the bogeyman of retailing — has become a legitimate threat since it took over organic grocer Whole Foods this summer. Amazon is not just a business-killer; it destroys entire sectors. The bookstore was its first victim, and since its acquisition of Whole Foods, we can assume that the grocery store is now in Amazon’s sights. It’s all about digital transformation for Amazon. The company is redefining how the food industry and consumers make transactions in a digitalized, borderless world. Among scaleable home delivery businesses, the Toronto area’s Grocery Gateway was one of Canada’s true pioneers. For years, a fleet of trucks owned by Longo Brothers delivered groceries in the Greater Toronto Area while barely making a profit. In fact, Longo’s acquired Grocery Gateway back in 2004 from a failed dot-com project, a victim of the bubble bursting in that industry. For 13 years, the competition stood back and did nothing on the home delivery front, for fear of cannibalizing their own businesses by shifting sales away from stores. Several questioned the sustainability of operating a full fleet of trucks while at the same time charging a hefty premium of 15 to 20 per cent delivery on an order of $50. But Torontonians used Grocery Gateway, it kept chugging along, and now it’s expanding. For Longo’s, it was about running a good business. But for Loblaw, it’s about fighting the Amazon behemoth, which is why we are about to see an evolution in home food delivery. When leveraged by data, connecting food retailing with homes can be powerful. In some U.S. cities, Walmart is currently delivering food directly to the consumer’s fridge. Imagine coming home and finding everything is already done for you. But 10 or 15 years from now, as artificial intelligence dramatically changes how we live and work, there’s no limit to where home food delivery might be headed. Perhaps we’ll see companies owning the food we receive, and we’ll only pay for the food we use and consume. Food waste? No problem. Leftovers might be credited, resold on our behalf and used for something else. Zero waste. Similar gains could be achieved on the nutritional front. Consumers could wear a portable device that automatically tells the fridge when it’s time to get replenished to satisfy a specific diet. The “fitbitization” of our food could allow companies to deliver to our fridges and cupboards the food we need for optimal health. At the moment, however, home delivery makes grocers face up to a more informed consumer. All the data consumers need is readily available online, where they can also shop at their own pace. It makes consumers more rational given they are not confronted with aisle upon aisle of products in those aforementioned grocery cathedrals, so impulse buying is diminished — a scary thought for many grocery chains. 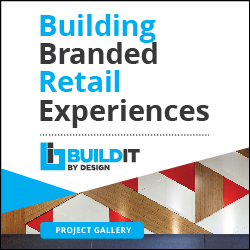 In return, grocers need to embrace what are known as precision retailing practices, anticipating the needs and wants of consumers in real time, in order to match higher expectations. All of this becomes more conceivable with home food delivery. And it’s just the beginning. Grocery Gateway has been more of a Toronto-centric experiment. Loblaw, on the other hand — and likely soon others — is playing defence for its long-term survival, but the opportunities are endless if Canada’s grocery chains opt to go on offence. The Amazon effect is real, it’s here to stay and it’s keeping most grocers up at night, including Loblaw. But Loblaw, at least, had the foresight of acting now before it’s too late.